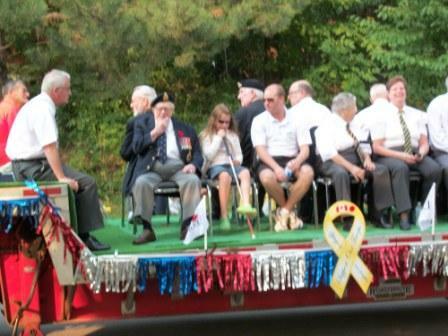 Riding on the the float were Branch 36 Veterans, members of the Legion Colour Party, Branch Executive, along with representatives from the C.N.I.B., the Dundas Sea Cadet Corps and other community organizations that the Legion supports. The crowd watching the parade heartily cheered the veterans on the float, and it was given a standing ovation all the way along the route. 1. 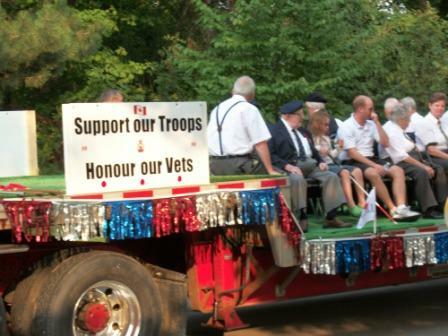 Truck used to tow the Legion float. 2. 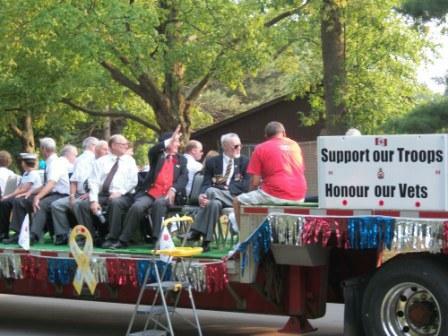 Float gets into place at Dundas Driving Park. 3. 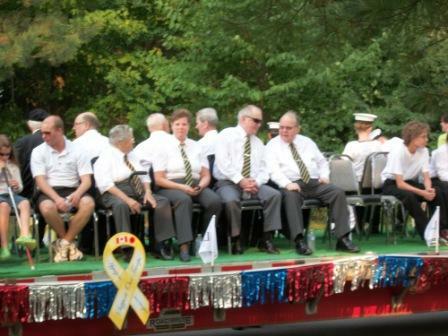 Float Riders take it easy until parade time. 4. 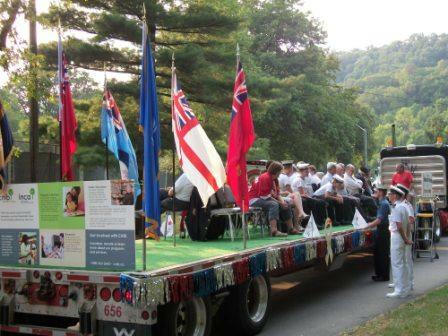 Float Riders take it easy until parade time. 5. 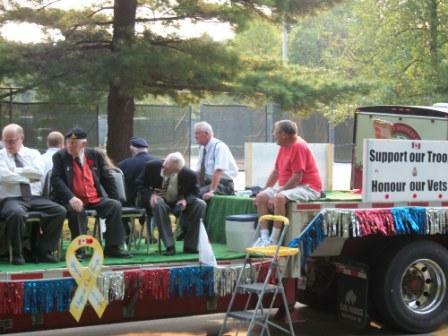 Float Riders take it easy until parade time. 6. 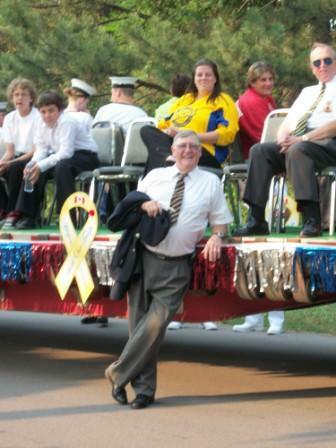 Gord Sharpe Special Events Chair takes a break until parade begins. 7. Sea Cadet Officers speak with their cadets. 8. 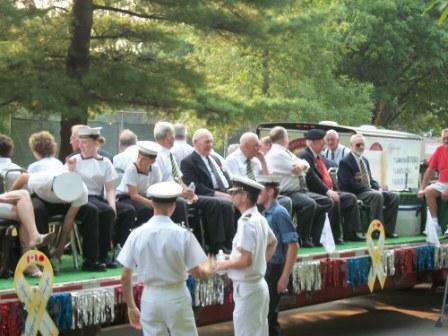 Sea Cadets get ready for parade to start. 9. Last minute preparations are completed. 10. Float riders greet friends in the park. 11. Float makes its way along Park Street. 12. 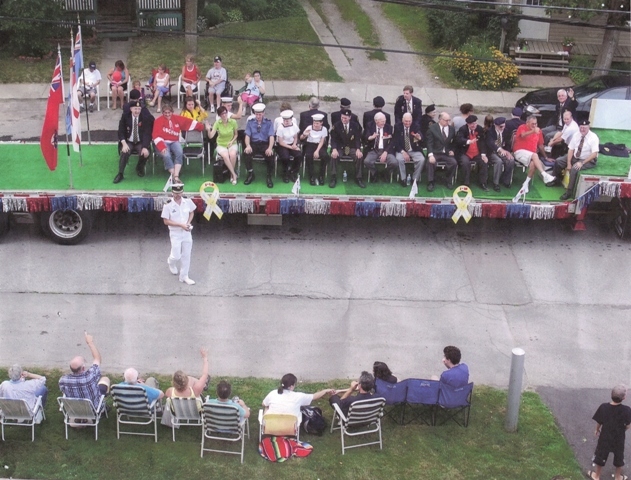 Float makes the turn from York to King Street. 13. Float makes its way along King Street West. 14. 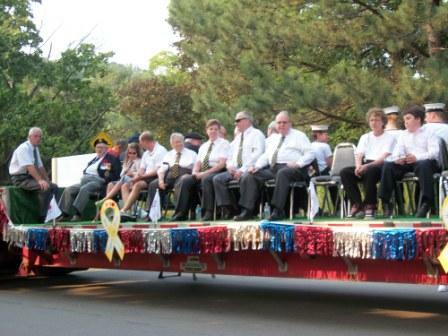 Float riders greet parade watchers. 15. Float makes its way along King Street West. 16. 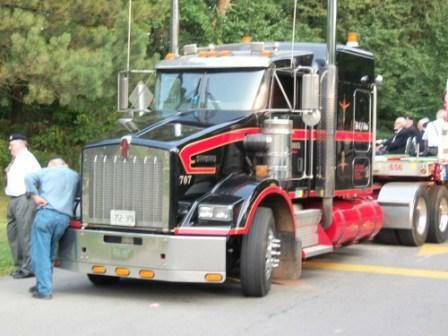 Float waits for stoplight to change. 17. 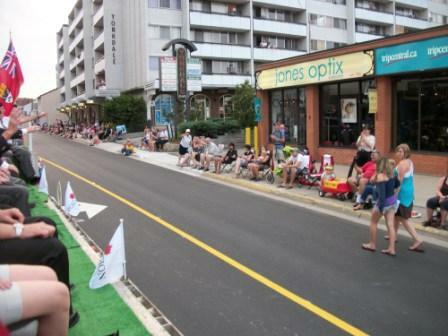 Float gets under way along King Street West and riders greet onlookers. 18. Float riders wave for the camera. 19. Float makes its way along King Street West. 20. Float makes its way along King Street West. 21. Float makes its way along King Street West. 22. Float makes its way along King Street West. 23. Float makes its way along King Street West.